Jordy's Beauty Spot: TAYLOR SWIFT INSPIRED SUMMER CORAL EYE AND LIP TUTORIAL! TAYLOR SWIFT INSPIRED SUMMER CORAL EYE AND LIP TUTORIAL! I got a lot of positive feedback from my last FOTD/EOTD so I decided to do another one! This time it is really pretty and fun playing around with big bold lashes and a pop of colour on the bottom lash line and lips. It's kind of like a grey and silver smokey eye with hints of orange and bold coral lips. I'm using two of my 88 palettes, one is neutrals and the other is colour. Mainly using shades from my neutral palette but one from my colour. I know a lot of people have these palettes so if your one of those people, you will be able to recreate this look using the exact same colours but if you don't then just substitute colours from your collection that look similar to the ones I'm using. I was inspired by a look I have seen Taylor Swift wear on a few occasions and it always looks so gorgeous on her so I wanted to try it out! Since it's summer here in Australia, bright coral and neon colours are really popular at the moment to wear so I thought it would be fun to incorporate them into my makeup look. If you want to see the looks I saw Taylor Swift wear and was inspired by just scroll down to the end of this post where I included them. I am so happy with the way this turned out and I think it will be perfect for summer parties and events this summer break, I can't wait to wear it out! 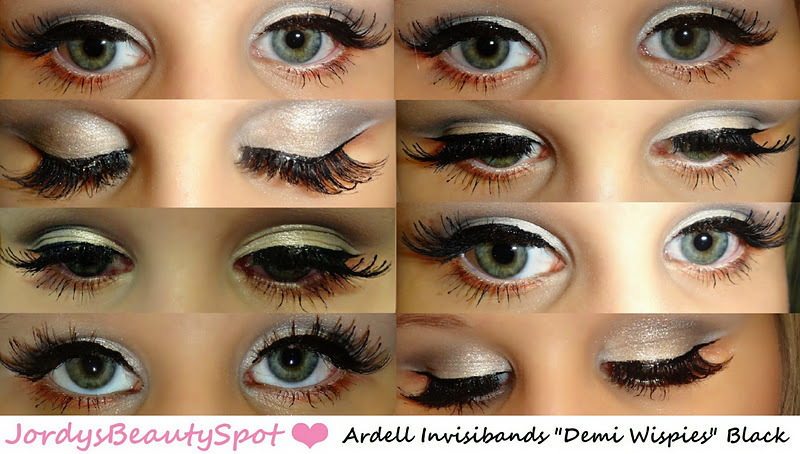 The lashes are optional but the ones I used are Ardell Invisibands "Demi Wispies" in black. The eyeliner I used was Chanel Ecriture De Chanel Automatic Liquid Eyeliner and I just drew on some slightly winged eyeliner. Step 1. Of course prime your lids then the first colour you want to take it the white circled with blue and wash that over the lid so that all the colours we put on top of it are more vibrant and show up better. Step 2. Take the shimmery champagne colours circled with pink and red and pack them both onto the lid. Step 3. Take the silver circled with purple and work that colour into the crease. Then take the black circled with orange and put that in the outer corners and bring it a little bit into your crease. Step 4. Draw on your liquid liner then take the white circled with green and draw a line just above your liquid liner. I find that this step just brightens up your eyes and makes them look bigger and more awake. Step 5. Apply mascara and false lashes or just mascara. In following the whole orange pop of colour theme, take an orange colour and using a tiny eyeliner brush, pack it with colour and apply is all over your lower lash line, underneath your eyelashes. This adds a beautiful pop of orange to the eye look! Now for lips, just take any coral, peachy or apricot colour and it will perfectly compliment your eye look! So beautiful, the colors are amazing! You are gorgeous! this is such a pretty look! Love the coral lipstick! Gorgeous colour!